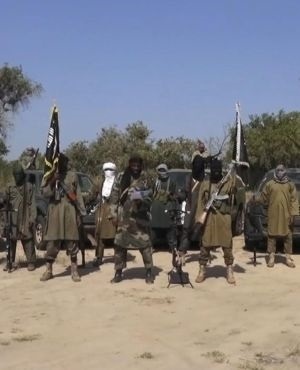 Violence in northern Cameroon by Nigeria's Boko Haram jihadists has diminished but rooting out their threat will need deft handling, the International Crisis Group (ICG) warned on Tuesday. "The intensity of the conflict against Boko Haram in Cameroon's Far North has diminished, though the movement still poses a threat and the humanitarian situation remains precarious," the thinktank said. Two major challenges must be overcome to consolidate long-term stability, it said: "First, dealing with former combatants and other Boko Haram members; and, secondly, determining the future of community self-defence, or vigilante, groups." Its insurgency has spilled into neighbouring countries, including Cameroon's Far North Region. Since 2014, the group has killed 2 000 civilians and soldiers and kidnapped about 1 000 people in Cameroon, according to the ICG's estimates. The main tools to fight the jihadists in the Far North include encouragement to desert, and the use of around 14 000 vigilantes to provide intelligence for the security forces and protection for villages. "Since October 2017, the Cameroon government has been more willing to accept Boko Haram deserters. To date, almost 200 have surrendered," the ICG said. But the government should strengthen this policy by announcing that it will protect surrendering Boko Haram members "and afford them due process." It should also devise a programme of support to help former jihadists reintegrate in the community, the report said. As for the vigilantes, the authorities should keep closer supervision of their activities, train them better, demobilise them in areas where they are not needed and investigate all accusations of abuses by them. "International support for measures to deal with former Boko Haram members and vigilantes will be critical, given the lack of local expertise and the strain on public finances, with the October presidential election looming and Cameroon hosting the Africa Cup of Nations in 2019," the report said.